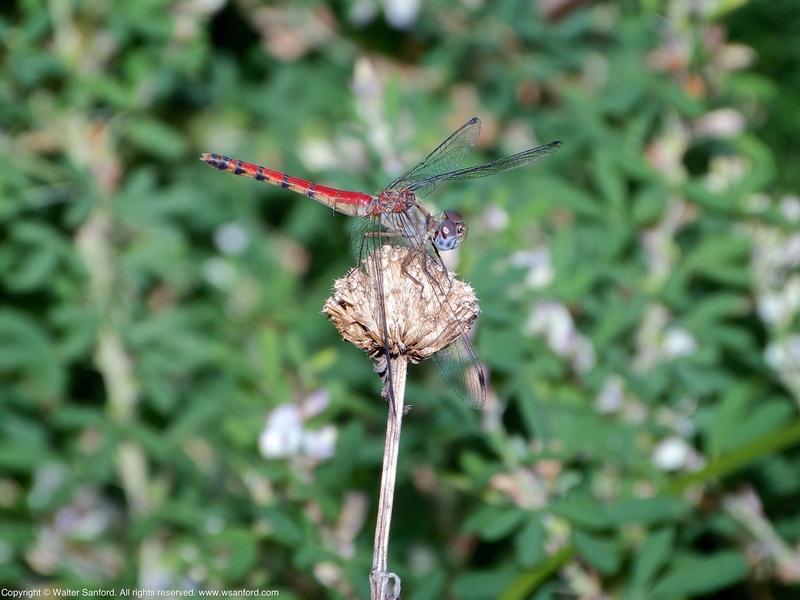 A Blue-faced Meadowhawk dragonfly (Sympetrum ambiguum) was spotted near Mulligan Pond at Jackson Miles Abbott Wetland Refuge, Fairfax County, Virginia USA. As far as I know, this is the first official record of Blue-faced Meadowhawk at JMAWR. This individual is a female andromorph, as indicated by her male-like coloration, lack of hamules, and terminal appendages. 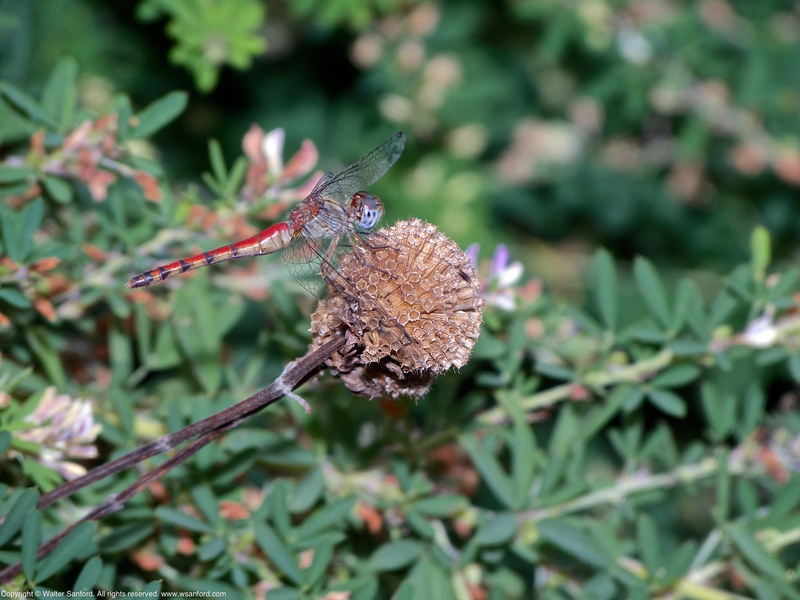 Unlike male Blue-faced Meadowhawks, most female faces are tan. This female is the only Blue-faced Meadowhawk I saw during a photowalk around Mulligan Pond — let’s hope she’s one of many more I didn’t see! 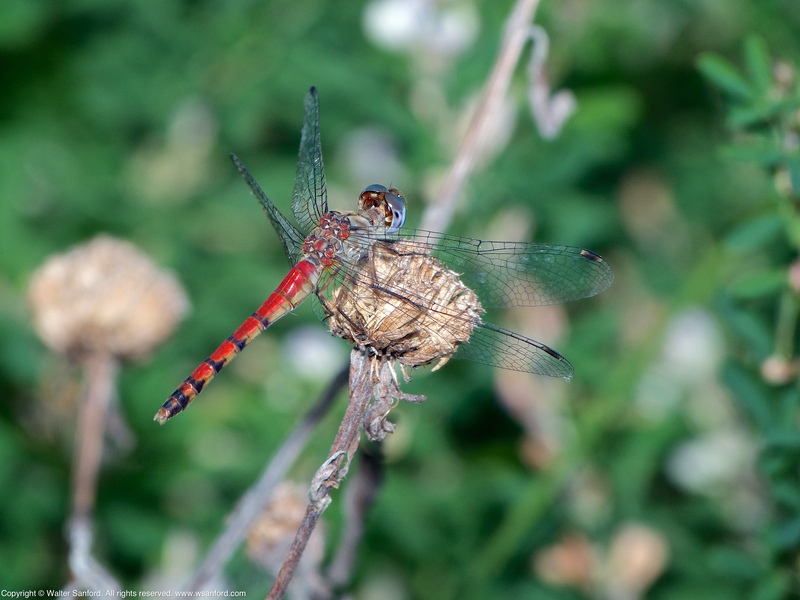 Related Resource: Post update, published on 15 November 2016, documents another female Blue-faced Meadowhawk dragonfly spotted at Mulligan Pond during Fall 2016. Editor’s Notes: Swift Setwing dragonfly (Dythemis velox) was discovered on 24 June 2016 at Mulligan Pond, Jackson Miles Abbott Wetland Refuge — the first official record of Swift Setwing in Fairfax County, Virginia USA. For more information, see Swift Setwing dragonfly by Michael Powell and Making new friends by Walter Sanford. This entry was posted on September 20, 2016 at 4:00 am and is filed under Aperture, Canon 580EX Speedlite, digital photography, dragonflies, natural science, Panasonic DMC-FZ150, photowalking. You can follow any responses to this entry through the RSS 2.0 feed. You can leave a response, or trackback from your own site. Cool find, Walter. I’ll have to keep my eyes open for them during visits there in the next few weeks. Thanks, Mike! For what it’s worth, I spotted the BfM perching in the wildflower garden at the far end of the pond (near-ish the red observation deck). Thanks for the info. I explored the flowers when you first arrive at Mulligan Pond, but did not search extensively in the area you described.